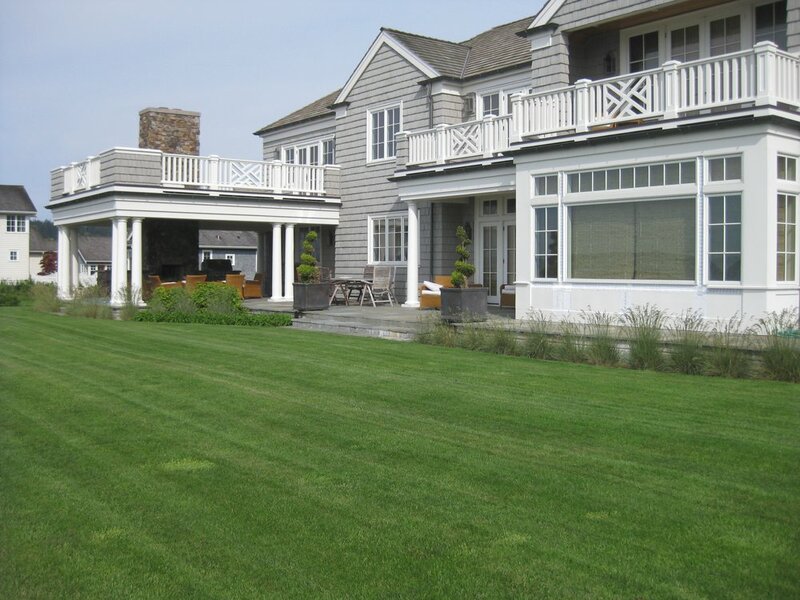 This new construction design and install project includes weekly organic garden maintenance. 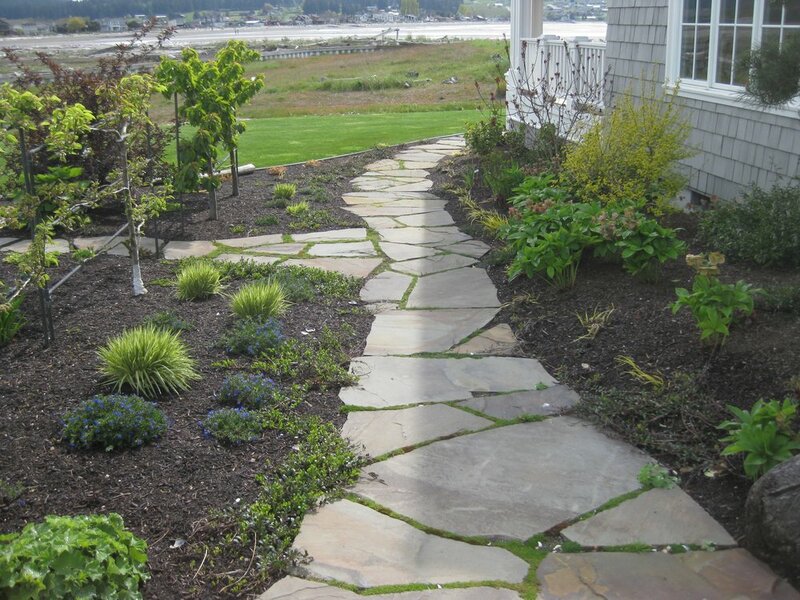 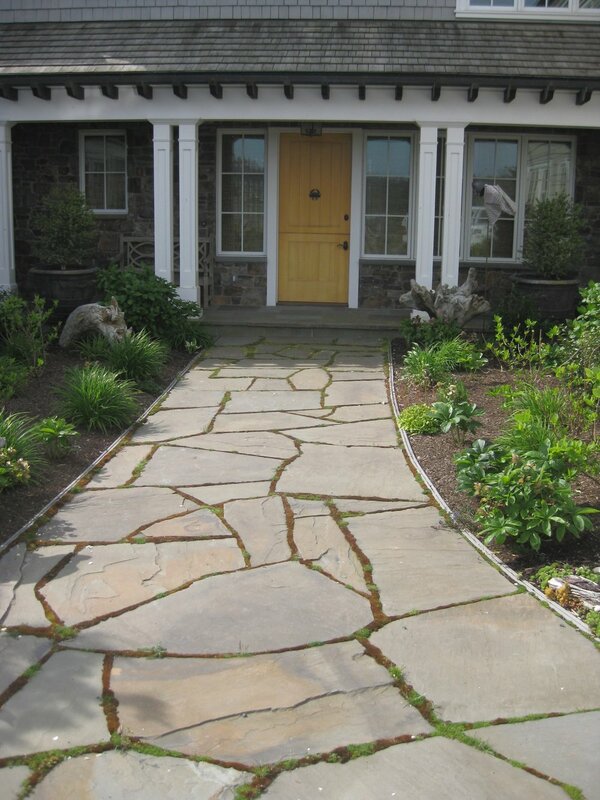 We designed and built a large flagstone entry walkway with a side path along a cutting garden. 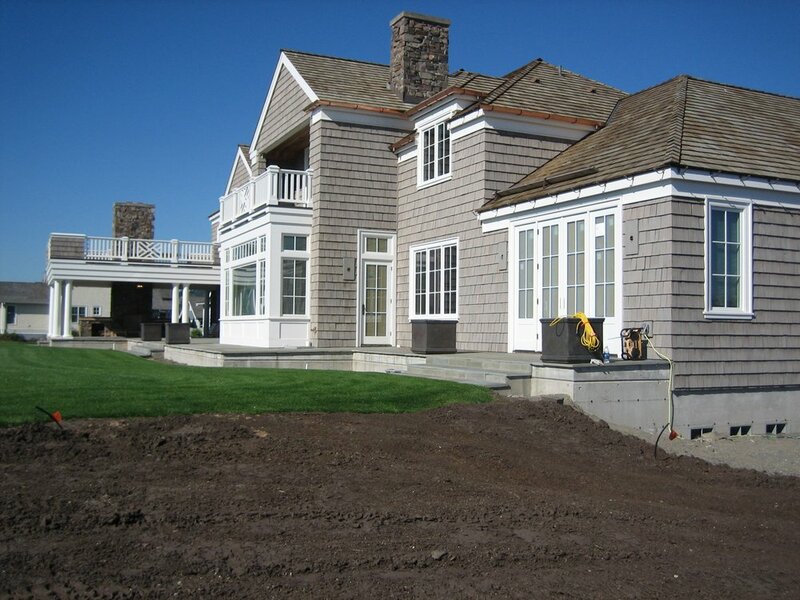 We built a custom copper espaliered for the cherry, apple and pear fruit trees. 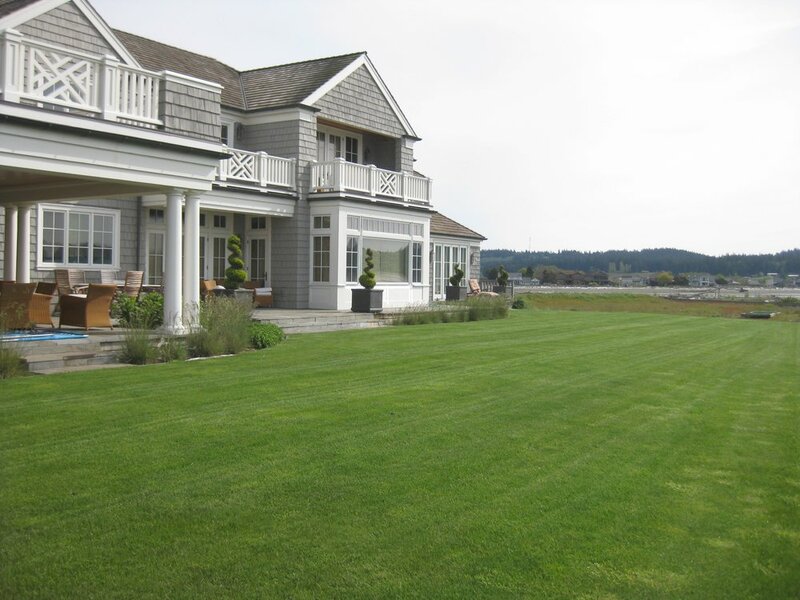 Since this is a summer home, it was a priority to build the front lawn and irrigation system so the home owners could immediately enjoy their beautiful property. 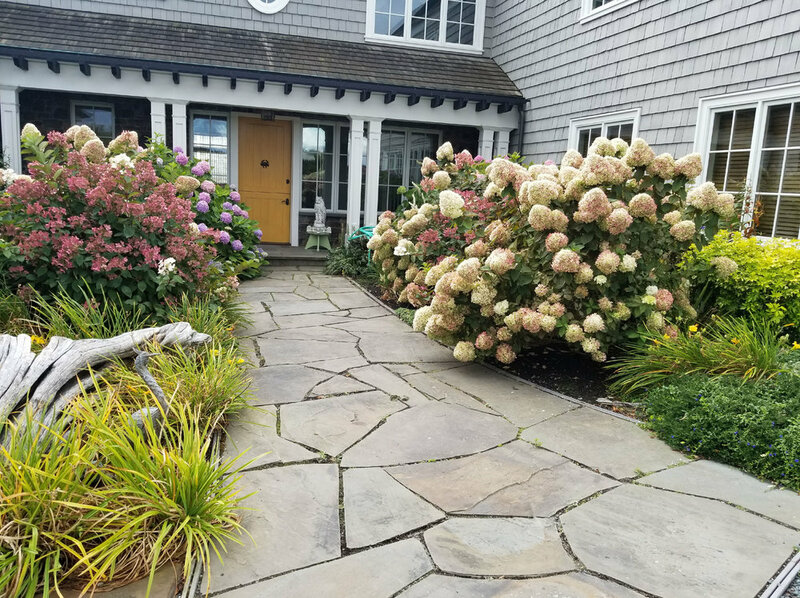 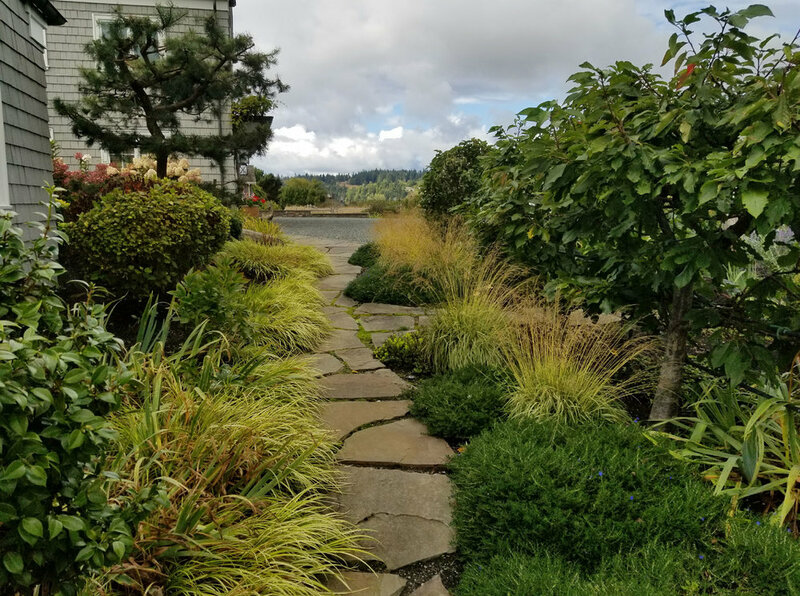 Once the homeowners returned to their main residence, we were able to complete the lawn and finish the garden in the off season.